You know your parents have done more than a little bit right when a friend you've only seen a few times in the last 20 years comes to visit and says she hopes she'll get to see them while she's in town, too. And when your Dad shows up with an entire bucket of Double Bubble for that same friend because he remembered how much she loved it when we were kids (he ALWAYS had it on hand when we were kids), you're reminded just how lucky you are to call such a thoughtful, generous, loving man your father. That man is my stepfather. I am, quite literally, the red headed stepchild of the family. In nearly 30 years, Mike has never once made me feel that way. 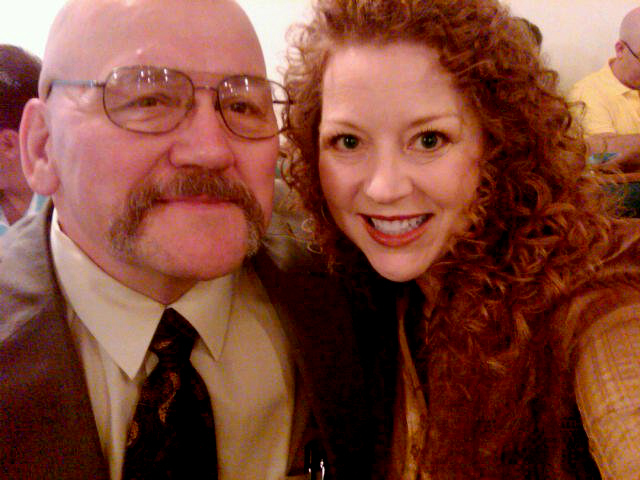 He is my father and I am his daughter. I am the luckiest red headed stepchild on the planet. Mike gets me. He always has. He even appreciates my love for fashion. He actually bought me my first pair of spectator shoes from the Mason shoe catalog when I was 16 (I've been obsessed with spectators ever since). He also has his own unique personal style. 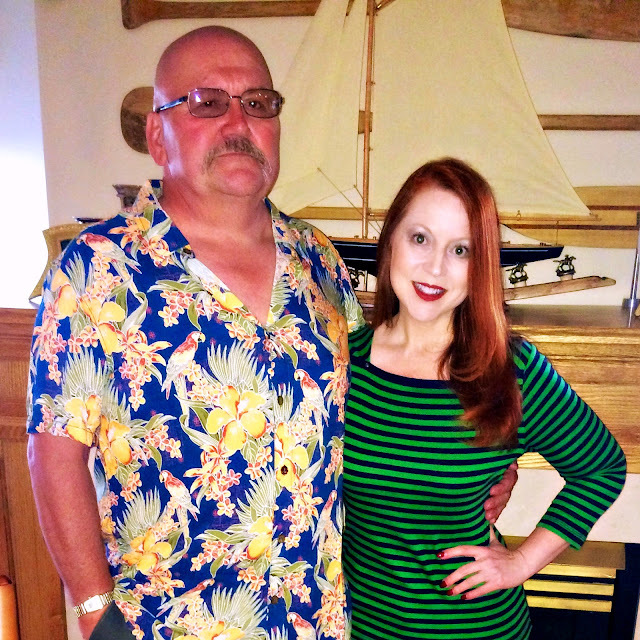 It's more than appropriate that he channeled Jimmy Buffet at the lake this Father's Day weekend. When I was in high school, his favorite shirt was a wild red Hawaiian shirt covered with parrots and flowers. I hated that shirt. Mike relished the fact that I hated that shirt. I'll never forget coming downstairs on the evening of my National Honor Society induction to see him standing in the kitchen wearing a bespoke three piece charcoal grey pinstripe suit (at my request)...with that damn Hawaiian shirt underneath! My Mom told me at breakfast this morning that he wore this weekend's blue parrot version as a purposeful nod to the past. It's one of my favorite memories. My revenge, some 25 years later, is to share with the world his high school prom picture - just look at that pink ruffled shirt and plaid tuxedo! I love you, Mike. Thank you for everything you do. Thank you for being you. 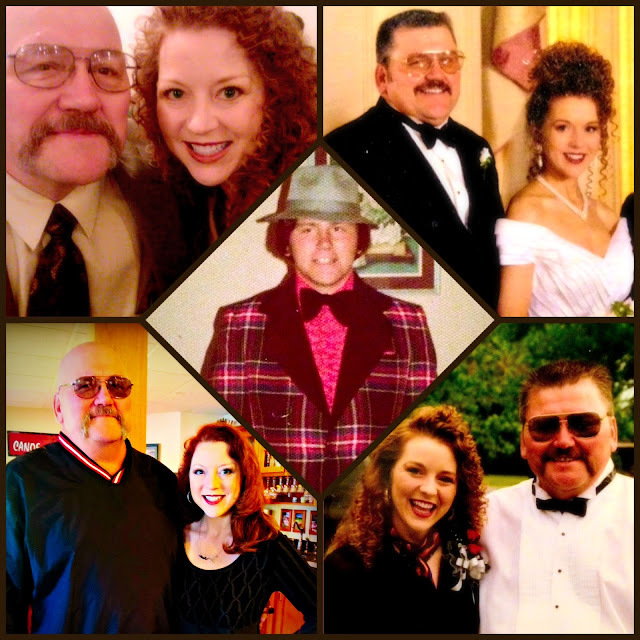 Clockwise, from top left: April 2011; Oct. 1997; July 1997; May 2013; the best prom tux, ever.